Milwaukee County Executive Chris Abele adds a proclamation making February 23rd, 2014 Fred Usinger Day throughout Milwaukee County. 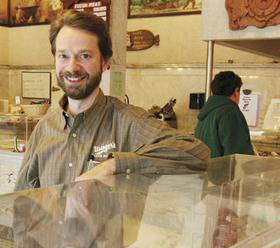 We all know about Valentines Day and Presidents Day, but there’s another Day in February that you can really sink your teeth into… Fred Usinger Day. In a special presentation in 2005, Mayor Tom Barrett proclaimed February 23rd as Fred Usinger Day throughout the City of Milwaukee. This special proclamation recognized Usinger’s as a locally family owned and operated business for four generations spanning over 125 years. “The City of Milwaukee salutes Fred Usinger, Inc. for it’s long standing good corporate citizenship and commitment to the betterment of Metropolitan Milwaukee and Southeast Wisconsin area”. To commemorate this event, our friends and the Old German Beer Hall will be offering a free Usinger brat to patrons beginning at 11am until 8pm. I will also be on hand at OGBH to tap a keg at 2pm and there will be free beer until the keg runs out. Take a break from our cold and snowy winter for a hot juicy Usinger brat and your favorite libation as we celebrate sausage. It’s my favorite thing about February, hope you can join us for the party! We’ll also be featuring several sausage specials at our retail store to honor this event. Watch the Usinger website or Facebook for more details. which many of you probably noticed during the holidays, and hope it worked well for you. We are planning on doing more internet oriented promotions in the coming year and I invite you to sign up for the Usinger newsletter so you don’t miss any of them. We’ll have a valuable coupon offer showing up there soon. Scroll down to the bottom of our homepage to “Subscribe here” and click, or just click this link: Usinger newsletter. If you’re getting tired of Winter already, try some of our Sausage Chili. Just put it in a pan, heat and eat. It’s that simple and it’s really good…just enough kick to warm you up without setting your tongue ablaze. Hang in there, Spring Training starts next month and grilling season isn’t far behind. Holiday Shopping Season is Short This Year. 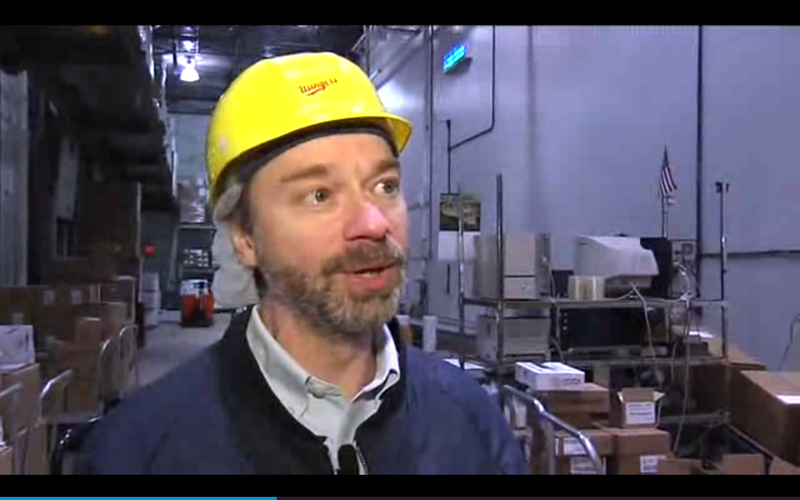 Fritz Usinger talks about this years shortened holiday shopping season. 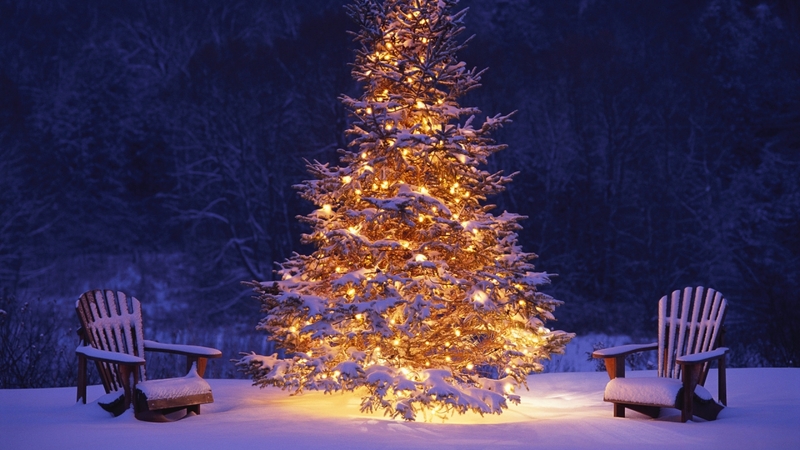 Family traditions, are what make the holidays so memorable for each generation. Whether It’s decorating a tree, baking holiday treats, attending a church service, or even shopping for gifts … the tradition Is special. One of my favorite holiday traditions on Christmas morning is to fire up the grill and cook up some tasty, Sauclsschen (narrow pork sausage rolled into a small coil held In place with a skewer). Served hot off the grill It’s the centerpiece to a hearty holiday breakfast. Another of my favorite holiday traditions is spending time working In the Uslnger gift box Annex. It’s great to get to meet so many of our customers face to face during the holidays. It also really lets you experience the hustle and bustle of the season firsthand. At Uslnger’s we’re very proud to have been a part of so many family holiday celebrations over the last 130 years. Here’s to wishing you and your family the very best this holiday season and hoping to see you all at the gift box annex (located next to our retail store on Old World Third St.), opening Friday December 6th. When it’s cold outside, it’s Chili time inside! The days are getting shorter and the nights are getting colder and longer. So what’s the best way to heat things up … how about a steaming hot bowl of chili? There are a lot of great family chili recipes, but these days not everyone has the time to make them. We think the Usinger Sausage Chili recipe is a good one too! The best part is ours involves no slicing, dicing and chopping on your part, we’ve done the work for you. Just put a package or two of Usinger’s Sausage Chili in pan, add a little water and heat slowly. Available in 16 ounce tubes it’s easy to make just the right amount whether serving one or ten. You can embellish it with rice, pasta or even a baked potato if you like, or just serve it straight up. 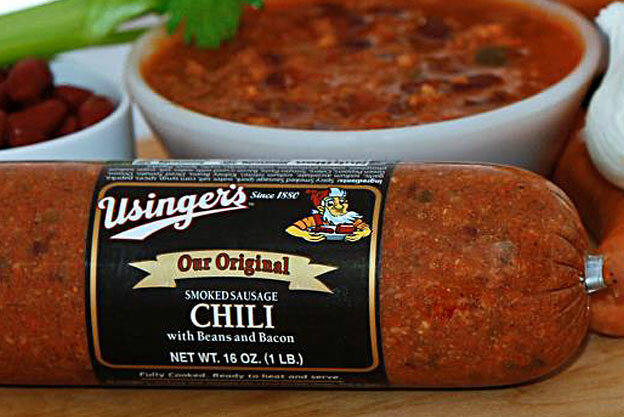 Usinger’s Sausage Chili contains no MSG and is gluten free. You can find the complete recipe under the Recipes tab on our website. In the Milwaukee area, it’s available at Sendik’s, Woodman’s, Sentry, Pick N Save, Piggly Wiggly, and other independent stores. If your grocer doesn’t have it, ask if they can order it for you…otherwise you can order it from usinger.com yourself, or go to the recipe and make it from scratch. Enjoy a great tasting bowl of chili tonight …and stay warm. 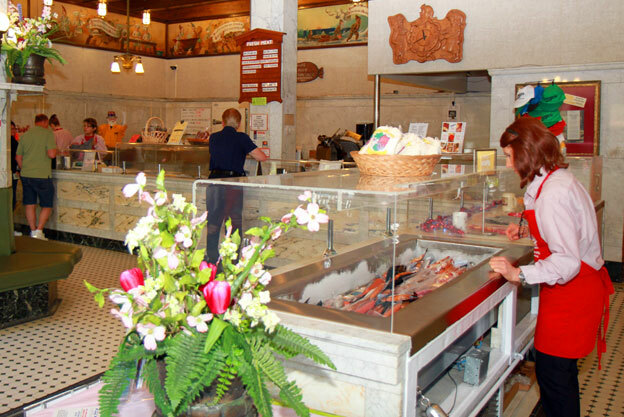 Usinger’s is one of the stops on Milwaukee Food Tours ,“Old World 3rd Street/Riverwalk Tour”. ‘Tis the season. Like we really need an excuse for beer and brats right off the grill. 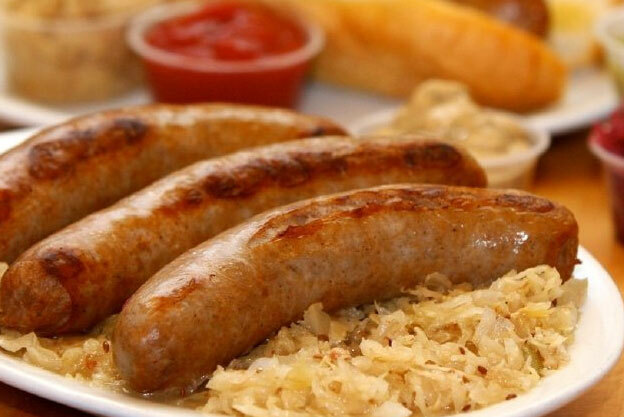 If you haven’t tried it before, Fall is a great time to dress up those brats with Usinger Festival Sauerkraut. We make it ourselves; kraut simmered with apples, onions, brown sugar and smoky Usinger apple wood smoked bacon pieces. Conveniently packed in 1 Lb. tubes, it’s easy to use … just heat and eat. 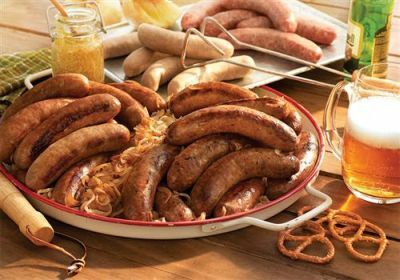 Nothing warms up a crisp fall day like a hot grill of sizzling Usinger sausages. That’s the real smell of Autumn. Autumn is summer sausage season in Wisconsin. 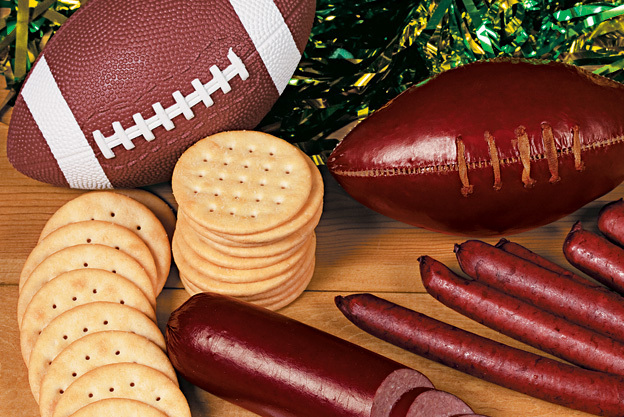 A snacking staple while watching Badger and Packer games, summer sausage is the faithful platter companion of crackers and Wisconsin cheeses. What makes summer sausage so popular is the subtle marriage of smoky and tangy flavors. Our summer sausage develops this unique flavor while hanging for 24 hours over smoldering hardwood fires in our old fashioned brick smoke houses. For over 130 years Usinger’s has made it the same way…. Quality meats, natural spices and know how. NO MSG, Gluten Free and NO Artificial Flavorings. Our summer sausage comes in many different sizes. We even make one in the shape of a football! The Usinger Annex is Now Open! The Second Half of Summer! There’s A New Dog In Town! Be the first to know about the latest news, specials, and more!